May 2015 – Finding a new "normal"
There’s a lot to be said for the innocence of youth. When we’re young, we take life at face value, not looking for lost or hidden meanings and conspiracies. Before innocence leaves us, if someone gives us a card that says “Be My Valentine,” we simply say “thank you,” or else give the person their own valentine card in return. Done. Today, I find myself mourning that innocent acceptance because, once it’s gone, once we begin to see injustices or inequalities in everything, the world loses a lot of its vibrant color and becomes a tad more gray with each similar experience. That change of perspective may begin with some heartbreaking rejection by friends or someone you admire as a kid, particularly on a day such as Valentine’s Day. It may start when everyone in your class brings their mom to school for a Mother’s Day tea, but your mom won’t come for some ridiculous reason … and you learn to resent her for being unavailable and you resent the holiday from that day forward. So, I now know friends who learned to hate some of our cultural holidays as children. As a child, I didn’t have any negative holiday experiences. I didn’t feel any of those things until much later in life – the first one being Father’s Day, as the pain my children felt due to an absent father settled into my heart, too. I hurt for them, because their experience was so vastly different from mine. So goes the spiral out of blind innocence into seeing the pain of others and becoming sensitive to the things that trigger their pain. Fast forward to decades later. Now, living life as a minister, I walk alongside people in varying positions along this continuum: from those who still see our cultural holidays and expressions through the innocent eyes of a child, cheerfully and dutifully honoring each and every recognized holiday all the way down to those who see agony and despair in almost every one that rolls around. (Labor Day is a good example of a rather benign holiday.) The latter view typically comes from a combination of personal experience with pain and a highly sensitive barometer on the pain of others. Of course, as you might expect, the majority of us fall somewhere in the middle of that continuum. The trick is to learn how to navigate in such a way that acknowledges both the joy and the pain – not just in holidays, but in life generally. While it is a sign of maturity in spiritual terms for us to become sensitive to the experiences of others, we must not let our experiences with pain strip the world of its vibrancy, its bright and beautiful color. Hope, love, peace and joy – they all continue to exist in, around and through our painful experiences. I pray that I am enabled by God’s Spirit to bring some of the brightest blue of hope, fiery love, hot pink joy, or golden peace with me into the gray spots of life – not just for myself, but for others whose world has turned gray. 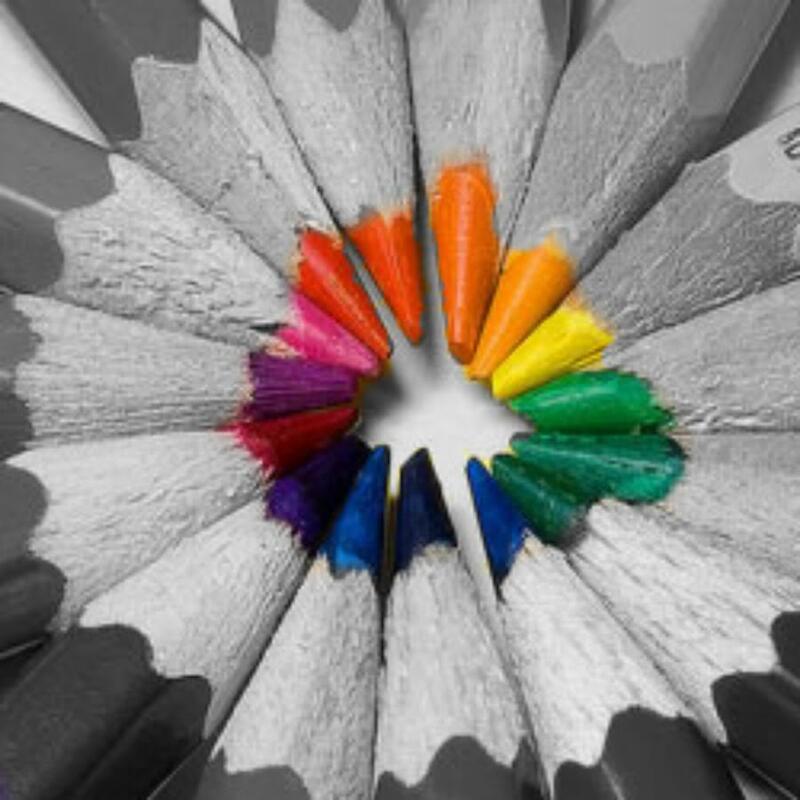 I pray that all of us who easily see pain in others learn to bring color with us into the gray. Finding a new "normal" Blog at WordPress.com.